This SUV has been around since nine years ago, and its first and it went through its first and the last update in 2011. New model that has been presented on 2015 North American International Auto Show is much different than the 2011 updated model and comes with numerous updates in exterior, interior and performance segment. New model looks much more sporty and elegant than the current model. It received a lot of influences from its German rivals, BMW crossovers above all and now it comes with the new grille and blade shaped headlights. New grille is split winged and other than front fascia there are some updates in both profile and rear part. Crucial change is the new silhouette that looks much more elegant and in the same time sporty, which is the nice achievement by the Ford design team. 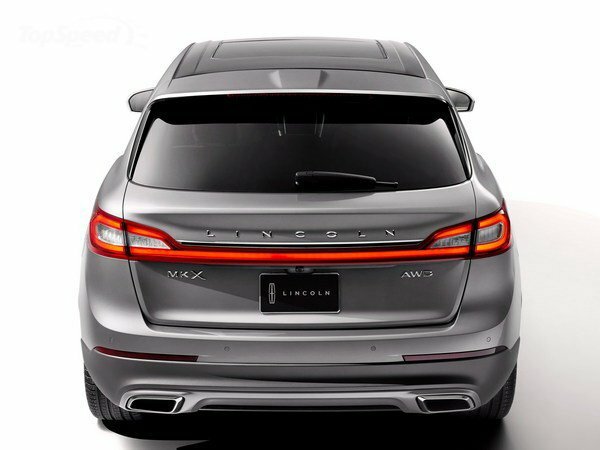 Also if you look at the profile of this SUV you will notice that it looks much more dynamic than previous versions, mainly because of the new slopping roof design. In the back it comes with muscular looking rear fenders, revised rear apron and wraparound taillights. In the apron it also comes with the new larger exhaust outlets that come in rectangular shape and look much more masculine than the ones in previous models. New model’s cabin comes out covered in soft leather plus some aluminum and woodtrim parts. Altogether this SUV is as luxury as it can be. It comes with very comfortable and supportive bucket seats in the standard version while the 20 way power adjustable seating heaven can be purchased as an additional option, same goes for the Revel premium audio system. 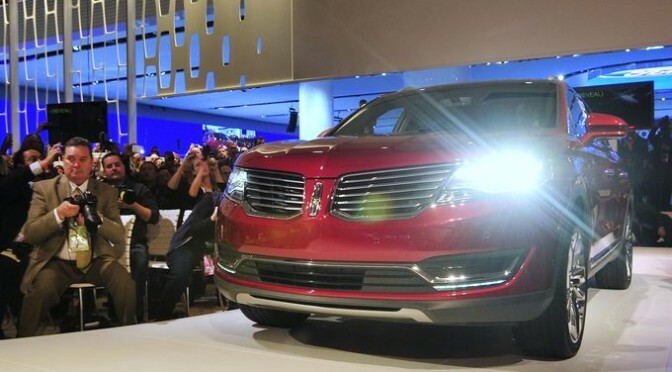 When it comes to hi tech features new MKX is nothing less luxurious. Ford invested a lot in this vehicle’s safety package which is now as big and modern as safety packages seen in some most expensive Volvo models. This package includes parking assist, 360 degree camera coverage, cross traffic alert, pre-collision assist and much, much more. Ford provided two engine options for the new MKX. Standard version comes with naturally aspired 3,7 liter V6 which is able to produce 300 horsepower and 280 pound feet of torque. Second more powerful engine is the 2,7 liter EcoBoost that comes with some higher trim levels and same as the first engine it is paired with six speed automatic transmission. Second engine is able to produce 330 horsepower and 370 pound feet of torque. Photos found on Top Speed and The Detroit News.